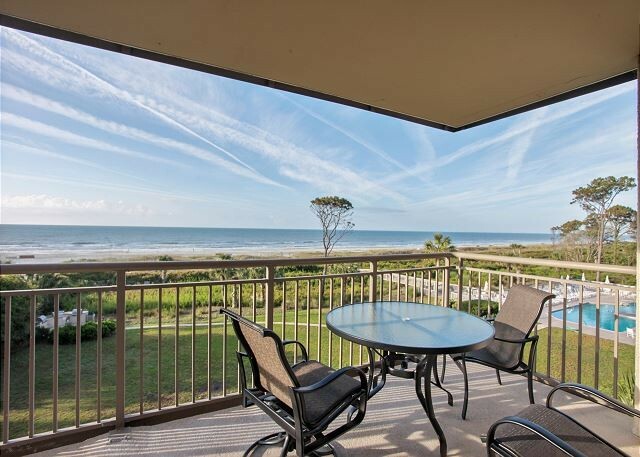 Enjoy spectacular views from this 4 bedroom, 3 bath OCEANFRONT villa in Ocean One Villas. 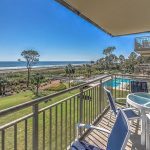 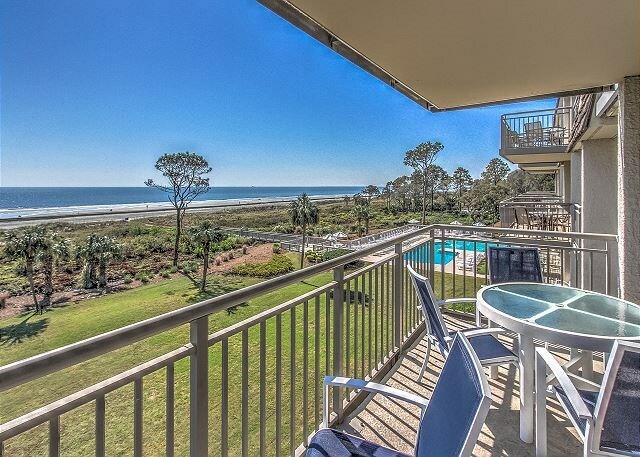 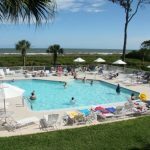 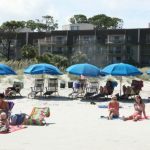 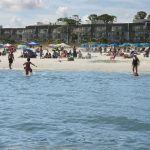 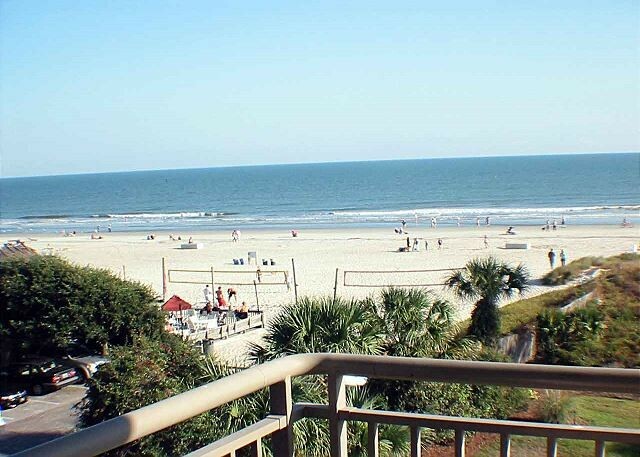 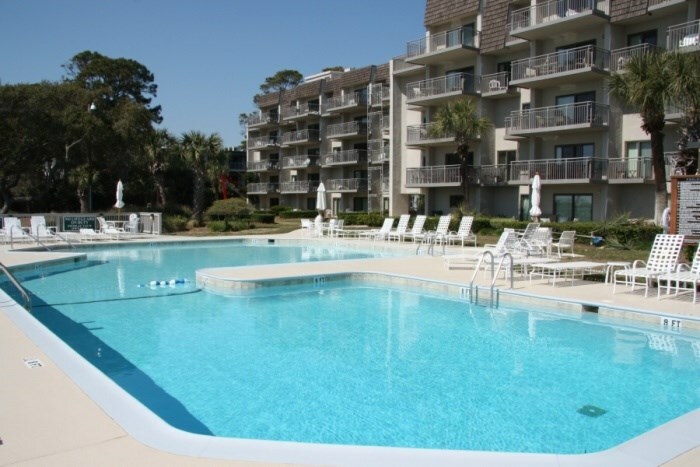 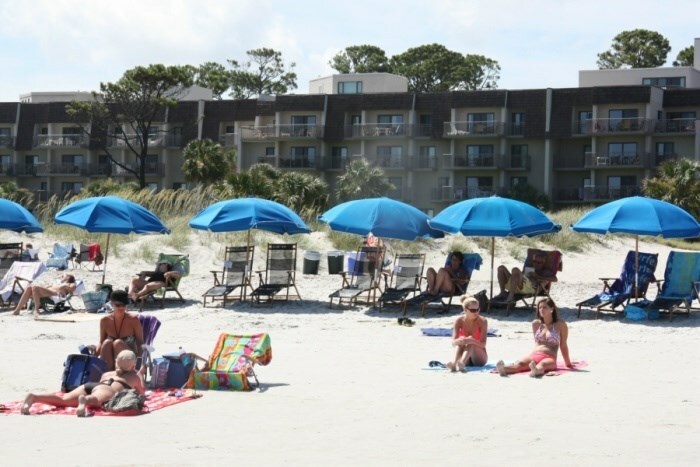 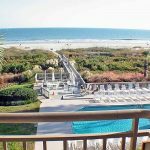 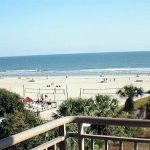 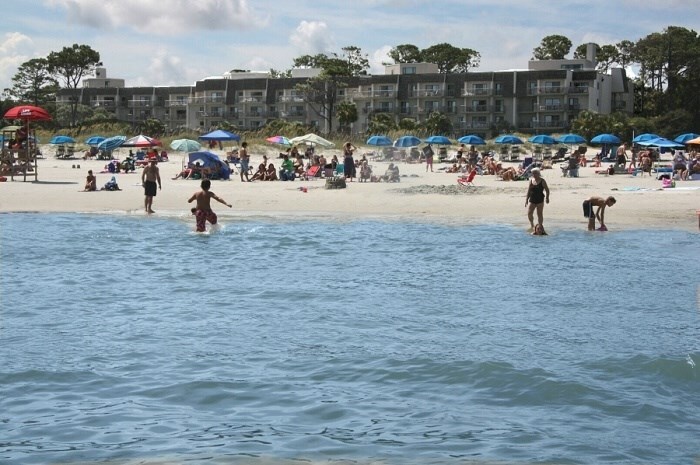 Located in the South Forest Beach area of Hilton Head Island, this villa is within walking distance to Coligny Plaza and just next door to the popular Tiki Hut where you can listen to live music and watch competitive beach volley ball. 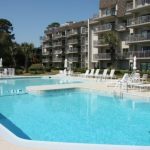 The kitchen is updated with granite counter tops and stainless steel appliances and opens up to the dining and living areas. 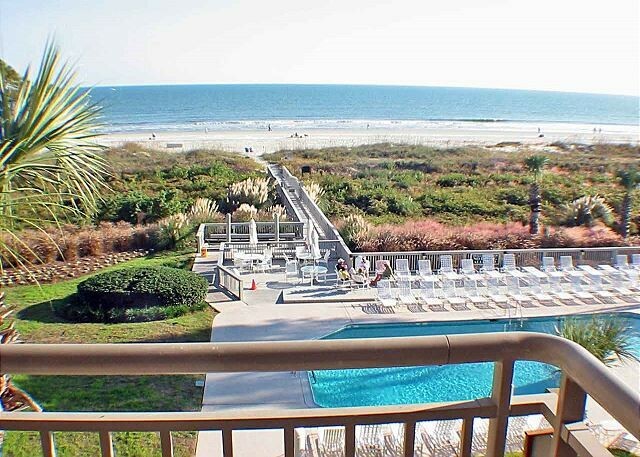 This villa has THREE OCEANFRONT private balconies! 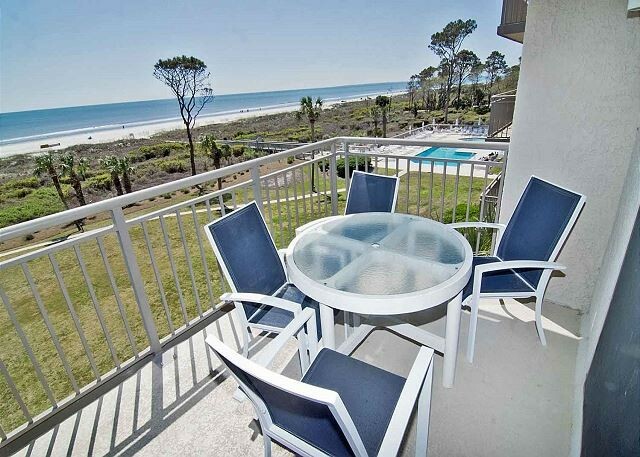 The spacious villa comes fully furnished and completely equipped modern kitchen, all appliances, refrigerator, dishwasher, microwave, washer/dryer, disposal, ice maker, 2 mini fridge, private sauna, (5) TV’s with cable, (2) dvd’s, small appliances, all cookware, utensils, central AC, all bath and bed linens, blankets, ironing board and starter supply of soaps and tissues… Golf & Biking Discounts available! 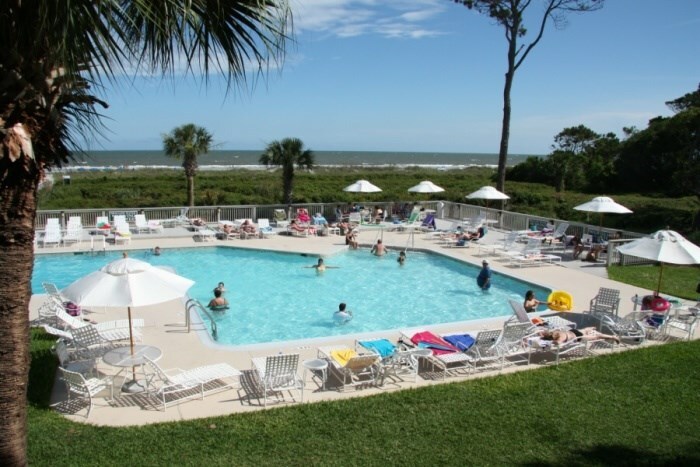 Ocean One offers amenities ideal for the whole family… large oceanfront pool, sundeck with plenty of lounge chairs & umbrellas. 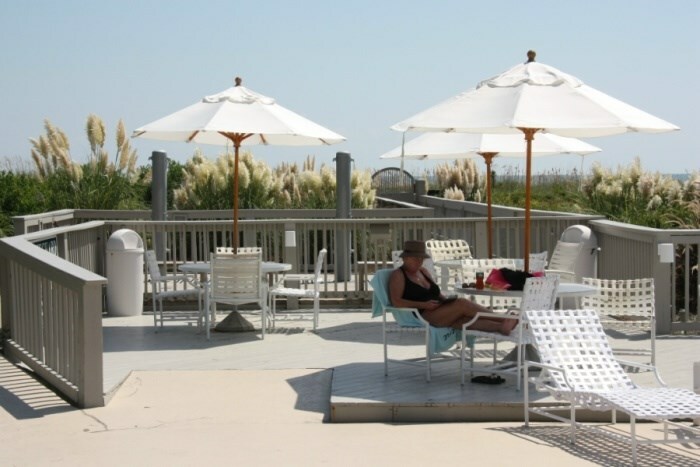 A boardwalk with outdoor shower leads directly to the beach. 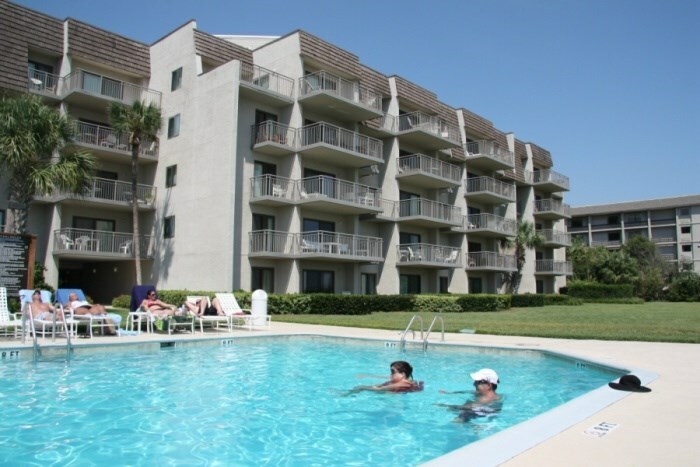 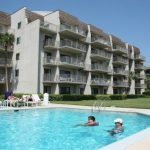 Located in the South Forest Beach area, here you will find not only the nicest beach, but many bike trails, golf, tennis, fun activities, great restaurants and shopping are within close walking distance from the property.